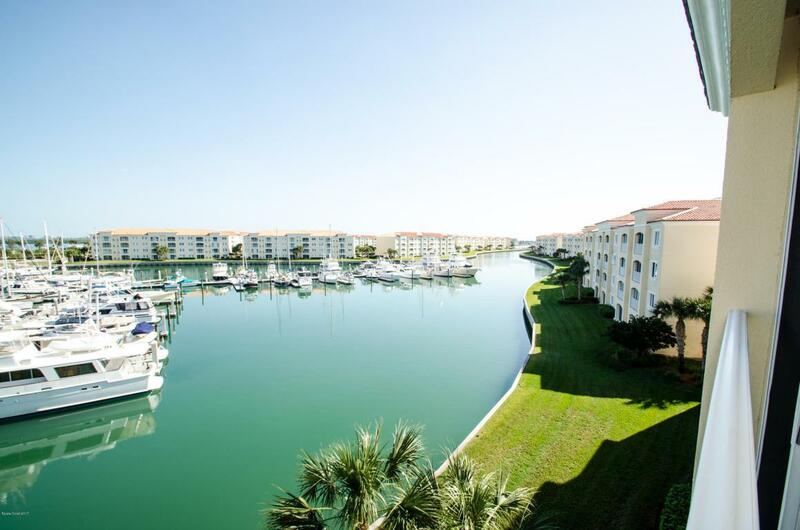 Enjoy Panoramic water views from every angle of this impeccable 4th floor Penthouse in prestigious Harbour Isles. Sprawling floorplan offers a living room, dining room plus a separate family room, light & bright eat-in kitchen, big master suite with luxurious bath, small room off of laundry room perfect for an office or kids playroom. Take in the sights and sounds of the marina right from your living room with sliders that offer a spectacular view. Prime location within the complex as you are only a few steps to the pool, clubhouse & fitness center. This exclusive community offers lots of extras: tennis courts, bocce ball court, pool & hot tub, outdoor kitchen/grills & picnic area, 63 slips & floating docks in the wind-protected harbor just minutes to Ft Pierce inlet.